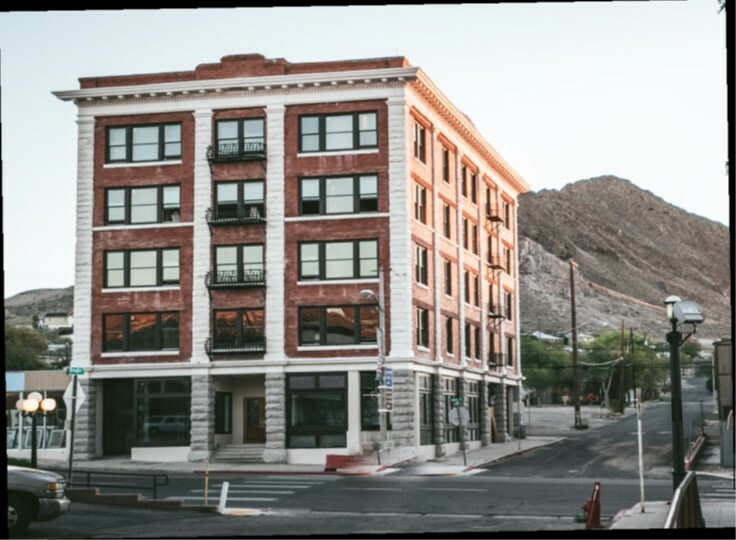 We are currently in discussions with hotels in Tonopah to provide sufficient hotel rooms for our projected attendance of 100-500 members. While we do not yet have firm hotel rates, we expect all of our rooms to be quite reasonably priced. 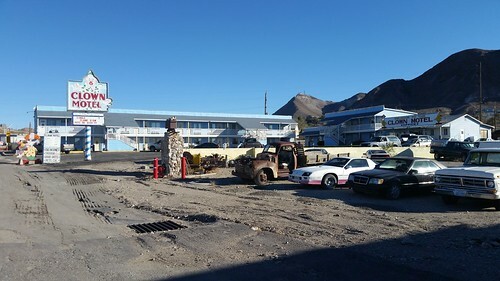 The Town of Tonopah Hotels Website lists more than 400 hotel rooms available in Tonopah, not including hotels under construction. Diagonally across the street from the Mizpah is their companion property, the Belvada Hotel, now nearing the completion of a comprehensive restoration and due to open in 2019. 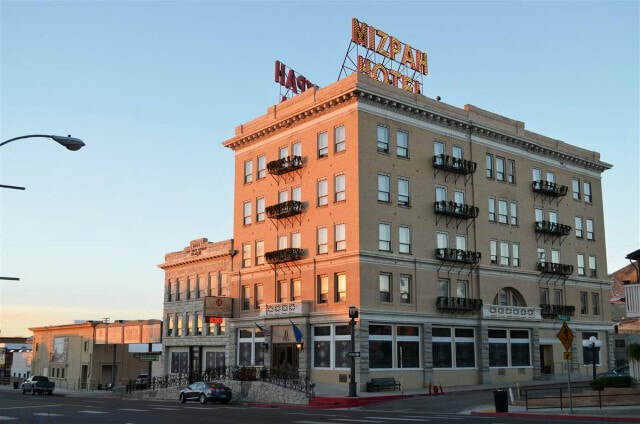 (Photo courtesy of the Mizpah Hotel.) 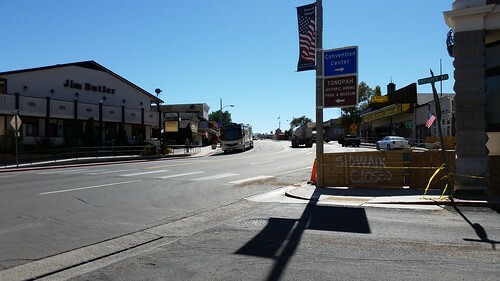 Just out of sight up the street to the right is the entrance to the Tonopah Convention Center. Also downtown is the Jim Butler Inn and Suites and (just out of shot in the distance in the above photo) the Best Western. 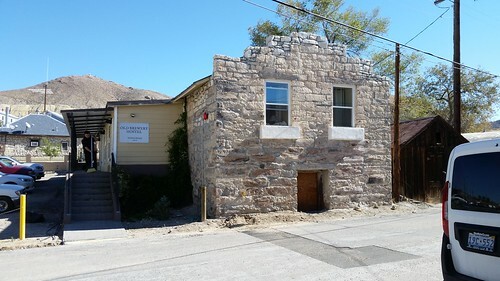 The Old Brewery Hostel (managed by the Mizpah) offers 10 private sleeping quarters with a full-sized kitchen & 2 community shared bathrooms for budget-minded travelers. 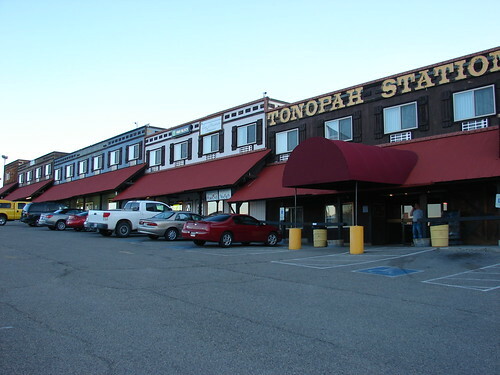 Approximately 1 mile / 1.6 km south of downtown is the Tonopah Station hotel, which is also adjacent to a Raley’s grocery store. 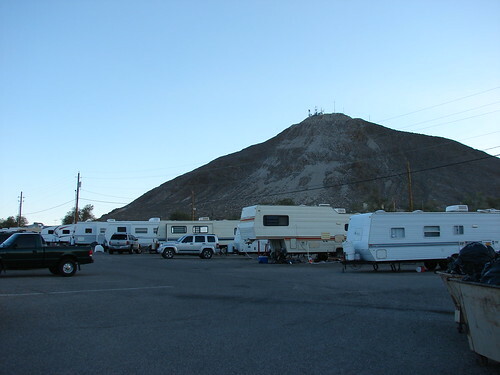 The Tonopah Station Hotel also has an RV park, one of several in the town.